Live Nation Labs, the investing arm of music giant Live Nation, has purchased music discovery app Rexly for an undisclosed amount. The deal, which had been in the works for several months, was finalized Friday and announced Monday via both companies’ blogs. Rexly launched in May 2011 at TechCrunch Disrupt—making it older than Live Nation Labs—as a music discovery and social sharing iOS app. Live Nation Labs, a group inside Live Nation Entertainment focused on “connections between passionate fans and live experiences,” has been courting Rexly for months now, according to their blog post today. Resnicow and CTO Kyle Fleming will be the foundation of Live Nation Labs’ mobile team, with Resnicow as the Mobile Product Lead and Fleming as the Senior Mobile Developer. Rexly’s third co-founder, Brad Lautenbach, is now the VP of Creative Development and Product at Zuckerberg Media and will not be joining Live Nation Labs. 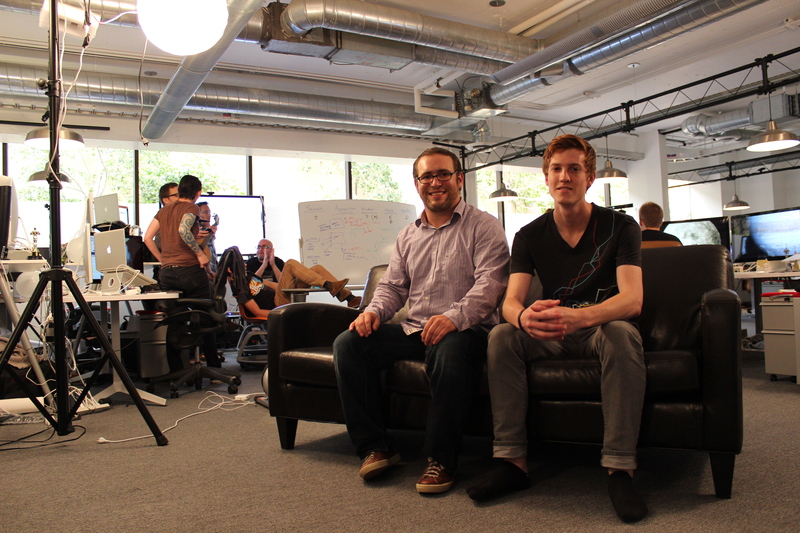 Rexly co-founders Joel Resnicow and Kyle Fleming at their headquarters. Resnicow says they will continue with the Rexly product, whether it continues to be branded that way or not. It will remain available as Rexly, for now. Kaplan said they are focused on finding good teams and products and could be making more acquisitions.